Cover a large cookie sheet with wax paper. 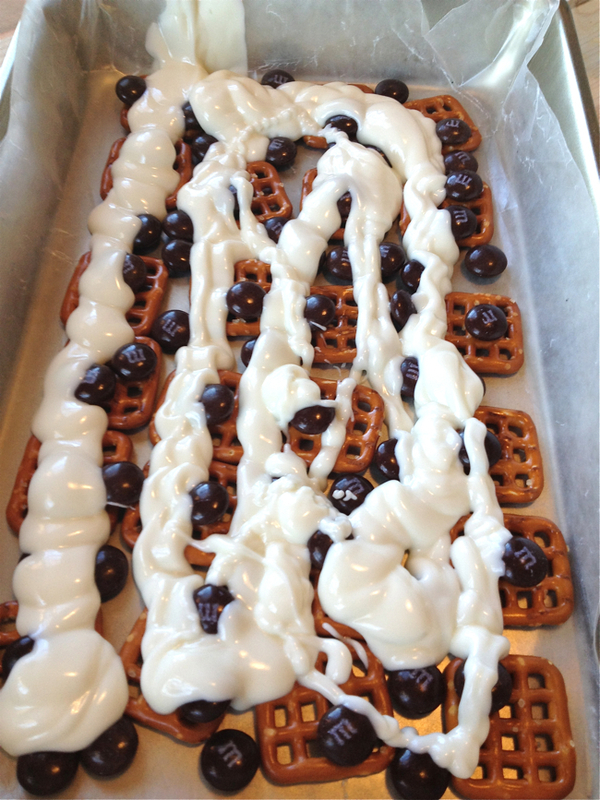 Spread pretzels and about brown M&Ms onto the waxed paper. Place almond bark in a container and microwave for 1 1/2 minutes. Stir and then microwave for another 30 seconds, if needed. 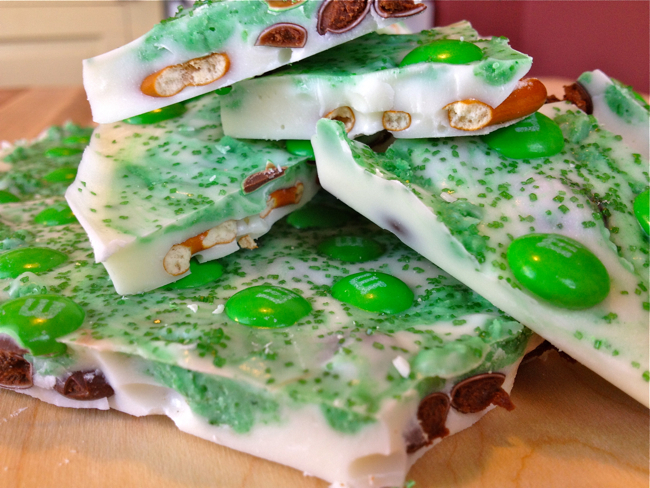 Reverse a small portion of melted almond bark and add green food coloring. Stir until green. 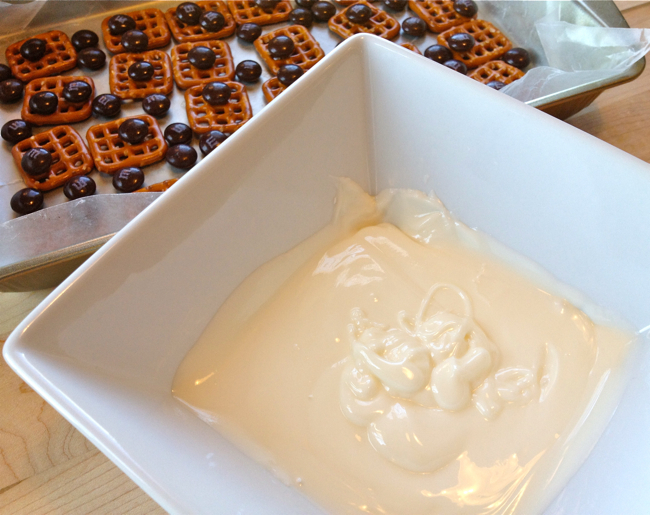 Drizzle the melted almond bark over the pretzel mixture, spreading with spatula if needed to coat evenly. Randomly drop small spoon fills of the melted green almond bark onto the mixture. 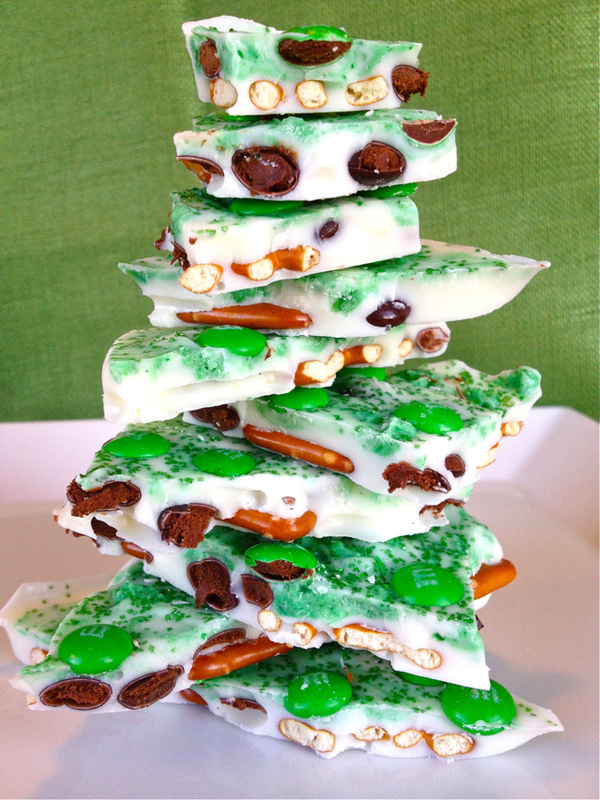 Swirl melted green almond bark in the melted white almond bark. 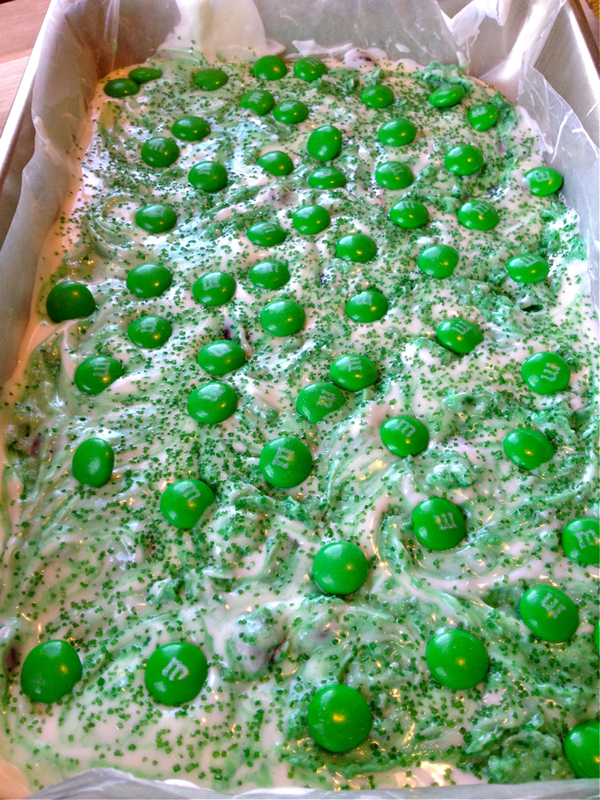 Sprinkle green M&Ms and green colored sprinkles over the almond bark while it is still wet. Do not let it harden. Place cookie tray into refrigerator until set and firm. Remove and gently break bark into small pieces. Store in air tight container. I have a fondness for your post. They help me when I need to solve problems. They are my cup of tea. 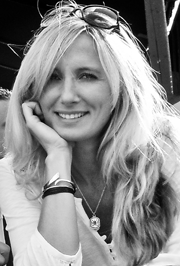 Thank you for your contribution to the community. I like it along with likewise aid me in growth to an amazing degree well. Thankful to you for this concise explanation and likewise exceptionally routine information. Whatever thought about, got a much better than routine understanding.